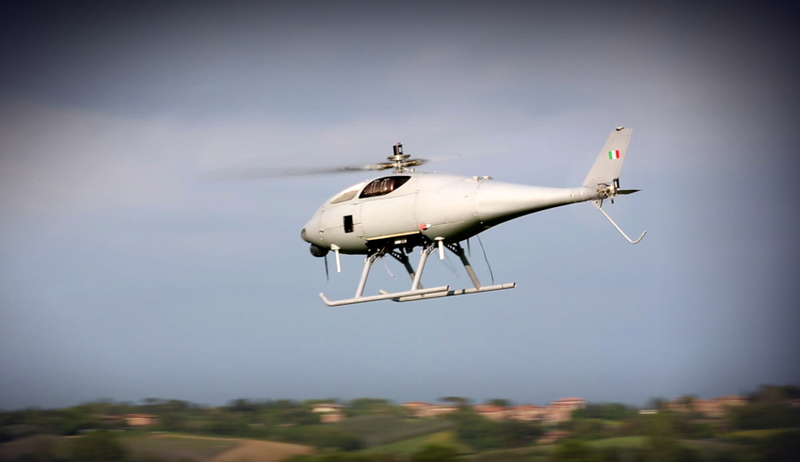 Italy’s Leonardo has teamed with Air Affairs Australia to present its AWHERO rotary unmanned air system (RUAS) for the RAN’s future Offshore Patrol Vessel (OPV) fleet. The company has been briefing Australian government and industry, with briefings set to conclude at the end of this week. Leonardo said the new 200-kilogram category remotely piloted helicopter is the perfect fit for a number of Australian requirements supporting defence, law enforcement and border control programs. Developed for land and naval operations, with maximum versatility in mind, Leonardo said the AWHERO is designed to deliver cost effectiveness for tasks such as maritime and border surveillance, homeland security, pipeline and powerline monitoring, monitoring the environment and critical infrastructure as well as supporting rescue efforts, disaster relief and damage assessment during natural disasters. AWHERO has a maximum gross weight of 205 kilograms and a useful load of 85 kilograms (fuel plus payload), with a maximum endurance in excess of six hours. Leonardo has already been operating in Australia for more than 50 years, supplying a wide range of civil and military solutions including several helicopter models, the C-27J Spartan tactical airlifter for the Royal Australian Air Force and maritime communications systems. The Italian defence leader said it sees "huge potential" for unmanned systems in Australia to further expand its footprint.